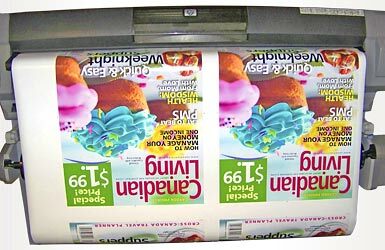 Poster Printing Mississauga Services - Heartland Printing Inc.
Poster printing services have been effective for a long time because they work. Poster printing is a great way to get your message out. Print posters to get noticed in bright, vivid colors. Posters prints are great for new products, announcements, company meetings, reception area and trade shows. Our print posters are printed on durable 7ml poster paper and trimmed to size. Mounting on foam board, gator board, masonite and mdf board is also available. Do you have a special requirement or deadline for your poster print? Let us know and we’ll do your best to make you look like a pro. *Days are business days. We are often quicker than posted times. Get a fast online printing quote for full color posters. Your print will be glued to 3/16 inch foamboard. There is no protective matte finish. The edges are not beveled. There is no key-hole in the back. Your print will be glued to 5/16 inch masonite and protected with a matte finish. The edges are beveled in your choice of black or white to give your piece a professional finish. There is no key-hole routered into the back. Laminating is an ideal, cost effective way to prolong the life of your poster from fading, tearing, dirt, fingerprints, moisture and other contaminants. It also helps to avoid creases, wrinkles, abrasions, smudges, and offers some protection from various spills, rain and chemicals etc. Prints and posters are ideal for laminating. However, lamination is permanent, so once a print or poster is laminated, it cannot be undone. Collectible or valuable items should not be laminated. We offer a choice of thicknesses and finishes which still allows you to roll and store your posters after they have been laminated. 3-mil is the standard thickness we use and will give you the best balance of protection, flexibility and price. The 10-mil gives your item rigidity similar to a credit card. Our clear gloss laminating film is the most popular, because it enhances colors very well and has a sheen finish. A matte lamination film has a non-glare finish, ideal for reading material.